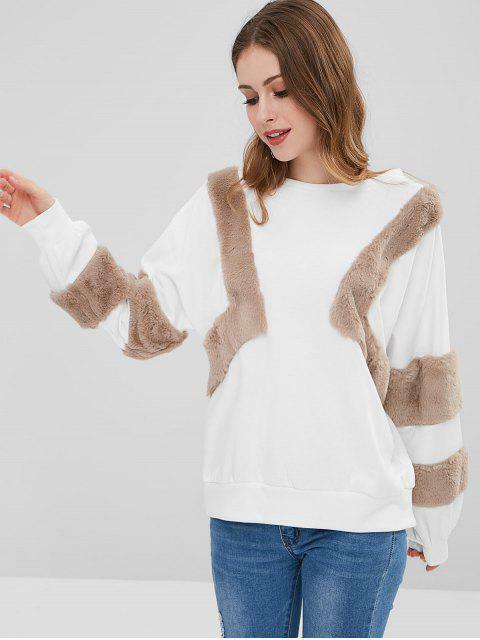 [60% OFF] 2019 Oversized Textured Sweatshirt In WHITE | ZAFUL .. In a slouchy and oversized silhouette, this sweatshirt features a contrasting fuzzy, textured fabric design detailing at the front, sleeves with ribbed, banded cuffs. It is so comfy to wear with its oversized fit, just pair it with some denims for a relaxed, casual look.